CNN recently rated software architect the number one job in America. Yet no clear path exists for moving from developer to architect. Mark Richards blends lecture and hands-on real-world group exercises to explore the many aspects of software architecture. You'll learn various integration styles (and when to use them) as well as patterns to fit various business needs and requirements. You're a senior-level developer who wants to become a software architect. You're a junior architect who wants to become more effective in your role. CNN recently rated software architect the number one job in America. Yet no clear path exists for moving from developer to architect. Why? Because software architecture is a massive multidisciplinary subject with no clear definition or job description, making it difficult to chart a course that covers all of the training and knowledge required to become an effective software architect. Being a software architect involves more than just drawing boxes and lines. It requires thinking like an architect, being a leader, and understanding the elements, patterns, and styles necessary to create effective software architectures. Leveraging many of the topics found in his Software Architecture Fundamentals videos from O’Reilly, Mark Richards blends lecture and hands-on real-world group exercises to explore the many aspects of software architecture. Knowing what styles and patterns best fit your situation is critical to the success of your architecture. You’ll learn various integration styles—including event-driven architecture, microservices architecture, microkernel architecture, and service-oriented architecture—and when to use each. You’ll then apply your knowledge in real-world small-team exercises, making decisions about which patterns best fit various business needs and requirements. Along the way, Mark emphasizes how important soft skills such as leadership, communication, facilitation, and negotiation are to a software architect and demonstrates related techniques, including some core leadership best practices and how to make development teams effective. Mark also shares tips for developing a career as a software architect. Mark Richards is an experienced, hands-on software architect focused on the architecture, design, and implementation of microservices architectures, service-oriented architectures, and distributed systems in J2EE and other technologies. He has been involved in the software industry since 1983 and has significant experience and expertise in application, integration, and enterprise architecture. Mark served as the president of the New England Java Users Group from 1999 to 2003. 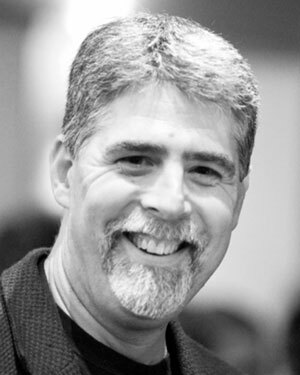 He is the author of numerous technical books and videos from O’Reilly, including Software Architecture Fundamentals (video), Enterprise Messaging (video), and Java Message Service (book), and a regular conference speaker at the No Fluff Just Stuff (NFJS) symposium series. Mark has spoken at over 100 conferences and user groups around the world on a variety of enterprise-related technical topics. He holds a master’s degree in computer science as well as numerous architect and developer certifications from IBM, Sun, the Open Group, and BEA. No Laptop is required for the class, but some people use one to follow along with the material. Is there any material or software installations we need to set up in advance of the training? Do we need to bring lap tops for anything?